Eddie Lancaster Garden Services Ltd - Fencing/Gates, Garden Services based in Portslade, East Sussex. 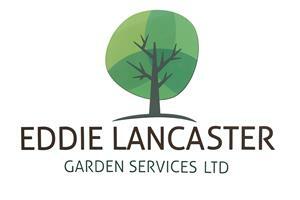 Eddie Lancaster Garden Services is an experienced and professional garden service which became established in 2000. Our aim is to offer a high level garden service offering a broad range of garden skills. After obtaining the necessary training from Brighton city college and Plumpton college Eddie has gone on to grow his business becoming a limited company in 2011 and is now working hard maintain his large customer base and hard fought good reputation. We believe we offer a one stop shop for all garden services with a significant knowledge base. This includes a wide variety of garden tasks, knowledge and experience of using the correct tools, machinery and purpose built vehicle's. We offer free estimates on all our work and are happy to take on small one off pieces of work to large regular contracts with friendly advice - no job too big or small, we're all your garden needs! In addition to our service we are able to supply Plants, Trees ,compost, topsoil, woodchip, ballast, sand and seasoned firewood also take away just green waste for public and other garden trades.